New York, 1917. The "landship" U.S.S. 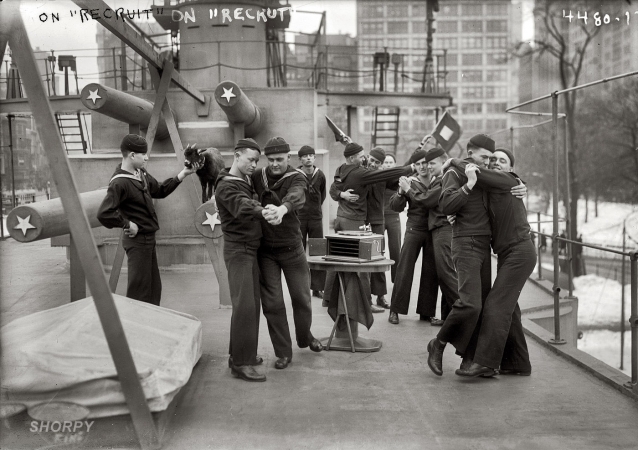 Recruit, a wooden destroyer set up in Union Square as a Navy recruiting station.